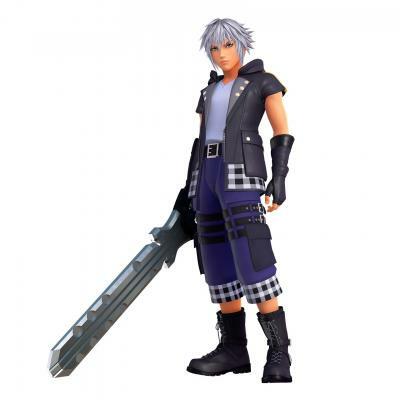 Riku is the main deuteragonist of the Kingdom Hearts series, and a Keyblade Master. Riku is a very cool, serious individual who is not afraid to speak his mind. He is also fierce and brave when it comes to protecting his friends. Riku is very skilled in combat, having shown himself to be strong and agile. His Keyblade is the Way to the Dawn up until some point in Kingdom Hearts III, when it is broken and replaced with the Braveheart. Riku's home world is the Destiny islands and he is best friends with fellow keyblade wielders Sora and Kairi. Riku is a playable character in Kingdom Hearts: Chain of Memories, Kingdom Hearts 358/2 Days (unlockable character), and Kingdom Hearts 3D. he will also be a playable character in Kingdom Hearts III.